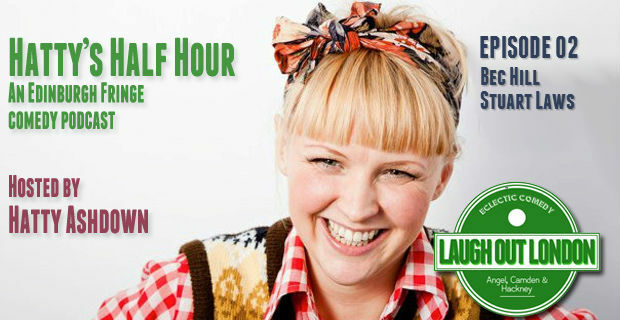 Hatty’s Half Hour is a new comedy podcast for Laugh Out London. 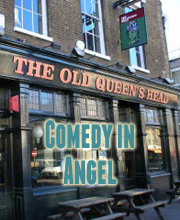 This August Hatty Ashdown heads up to the Edinburgh Festival Fringe to talk to comedians about their shows and just why they’ve made the decision to spend a month making people laugh. In episode two Hatty speaks to charming Australian Bec Hill and the manic comedy eccentric that is Stuart Laws. See Hatty’s FREE show Hurry Up Hatty at the Wee Pub at 3.45pm. See Bec Hill in Ellipsis at the Gilded Balloon at 5.30pm. See Stuart Laws at the Banshee Labyrinth at 2.20pm.